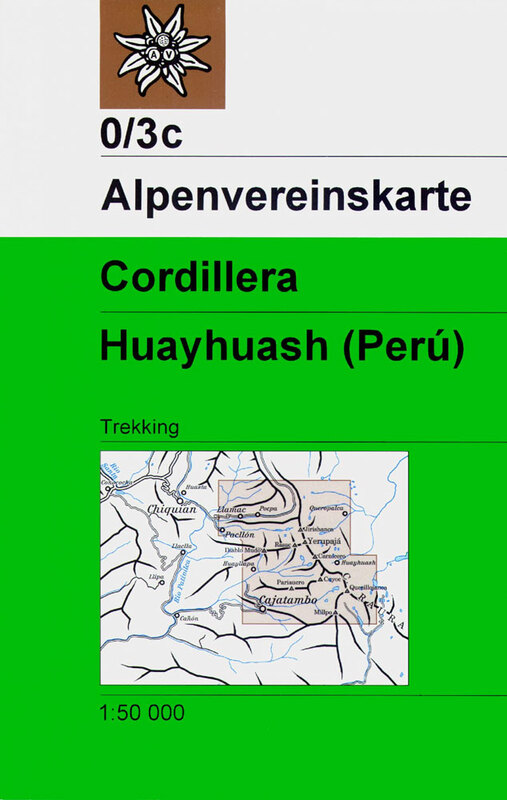 Cordillera Huayhuash, one of three excellent maps of the Cordillera Blanca and Huayhuash, highlighting local hiking trails. 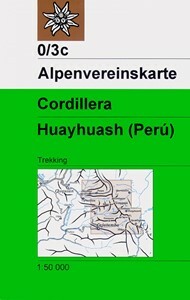 The maps, produced by the Austrian Alpine Club and updated in mid-2000s, provide a very clear picture of the topography with contours at 50m intervals (25m in Cordillera Huayhuash), spot heights, relief shading, graphics to indicate rocks, scree and moraine and colouring for cultivated areas. Road network includes dirt tracks and footpaths. 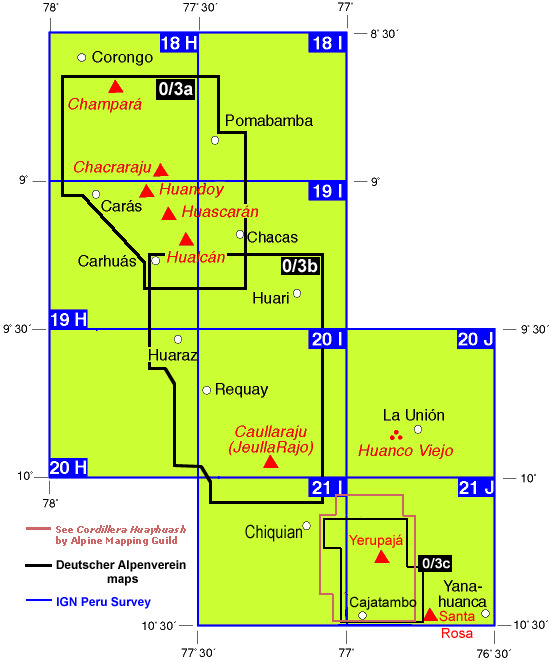 Trekking routes and camp sites are highlighted. 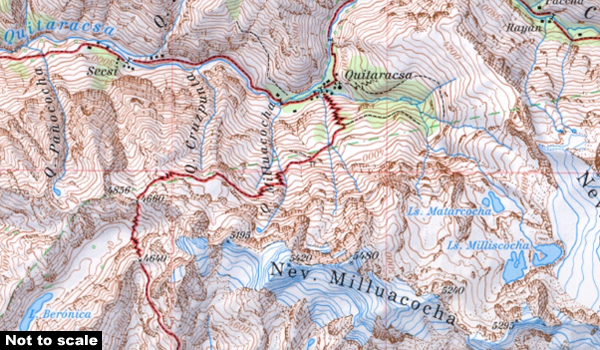 The maps have a UTM grid and latitude/longitude margin ticks at 5’ intervals. Map legend includes English.